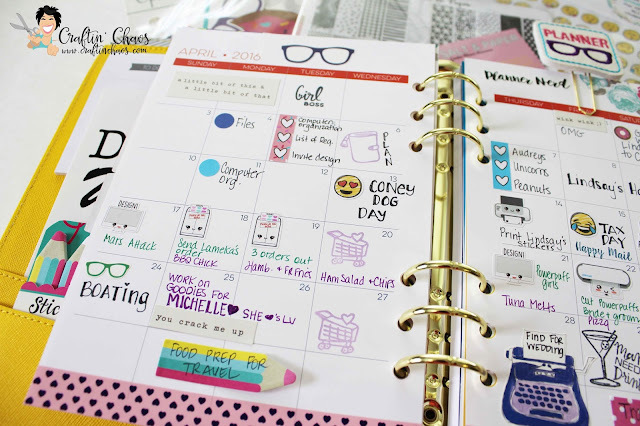 Hello fellow planner nerds! 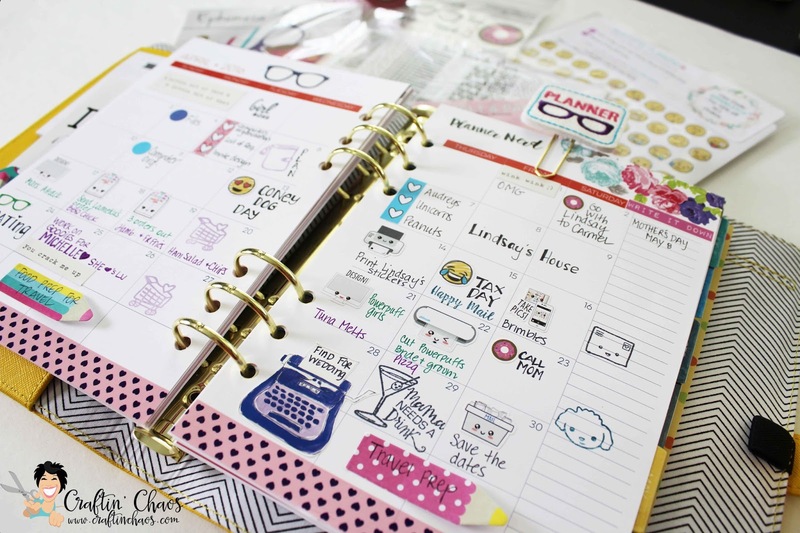 It’s Zinia here today and I’m really excited to join you once again and share some planner tips and tricks. I’m sure most of you already know that this month we welcomed a brand new subscription in the Brimbles family, the Sticker Club! 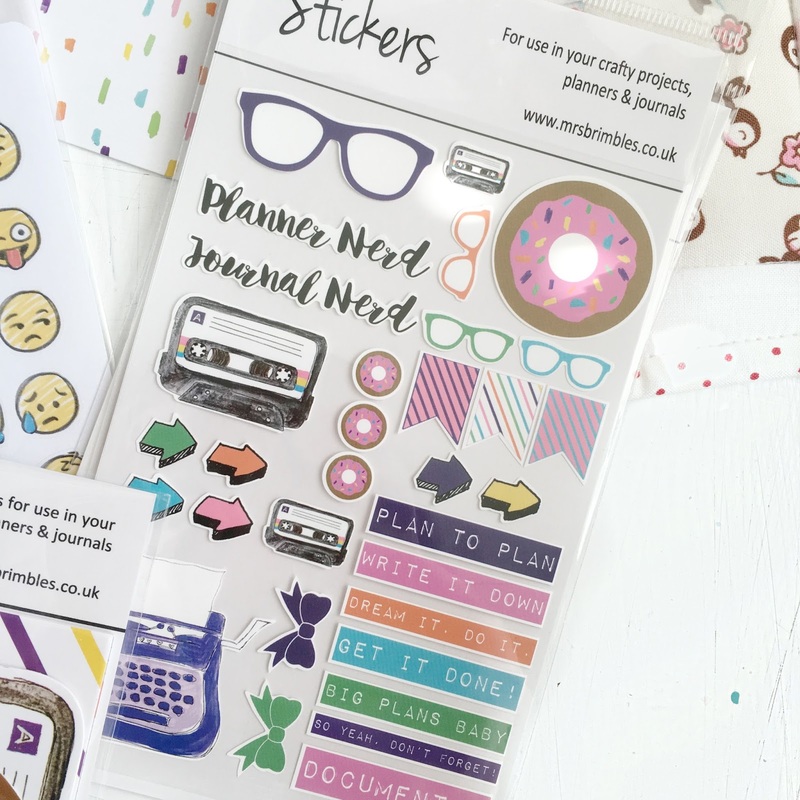 As the name suggests it’s an amazing collection of stickers you can use in your planners, journals or any other paper crafts. I really loved my April sticker box and all the wonderful sticker sheets it included. So since the sticker club box is something new, I thought I’d share with you an idea on how to use your stickers in a different way than just sticking them down to decorate your pages. This idea works really great with the emoji stickers that came in most of the April boxes. 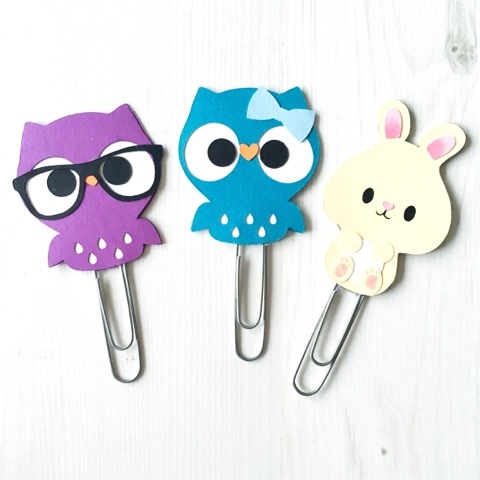 We are going to make paper clips out of stickers! 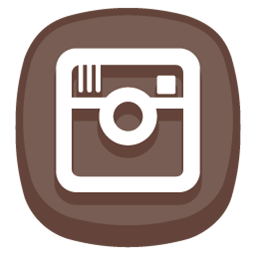 As I said it works best for stickers with simple shapes that you can put back to back. You are going to need some paper clips, a hot glue gun (or some other strong adhesive) and of course stickers. The process is extremely simple. 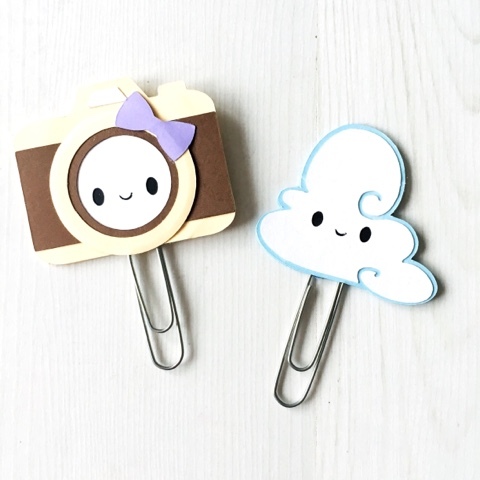 Just stick one sticker on top of your paper clip, flip it over, add some hot glue and sandwich the glue with another sticker of the same size and shape. If you want to use a sticker that’s not working good if you flip it, you can punch a small circle and use it to sandwich the glue. 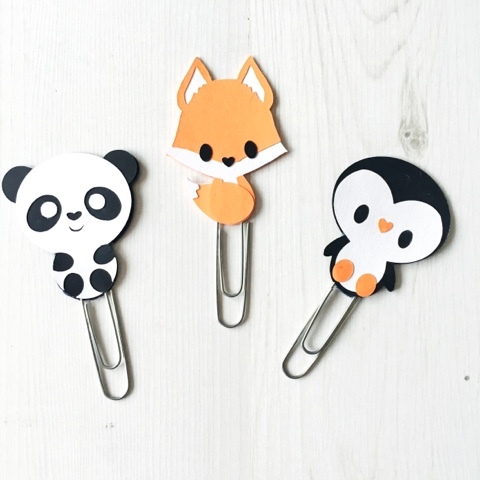 This way your paper clips will be single sided but they can still be super adorable. The emoji stickers look absolutely adorable because their shapes fit nicely. Also the Sea Salt & Paper stickers that were included in the sticker club subscription have some beautiful simple shapes you can use. For those who didn’t get the sticker subscription, you can make your paper clips out of Anna’s exclusive stickers for this month, the bows that are included in the sheet have exactly the same size and match perfectly. You can also do the same thing with page flags. The pencil flags that were included in this month’s boxes are really fun to use. Just make sure to cover the whole area with hot glue to make sure it stays in place and also to reinforce it a bit since it’s just a thin piece of paper and can get damaged if you just use your tape runner. Well. Where to start! I don't know because even though I am writing this on Tuesday and you will see this blog post on Wednesday, I am still processing and getting over Saturday. Wow even typing that was hard work lol! OK so Saturday saw the the Cambs Mini Planner Con come to life. Fed up of seeing all these fabulous planner con events taking place over in the States I felt like the UK was a bit left out and that we really needed something. 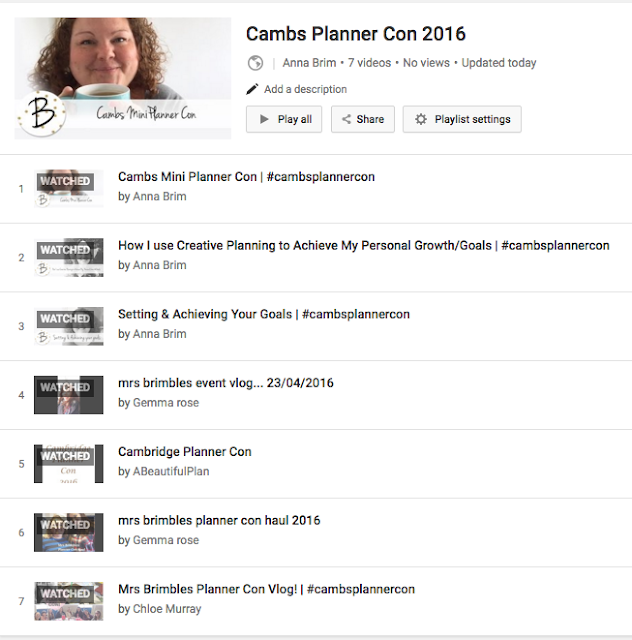 I have been to a few meet ups which have been great but I thought it would be nice to have more of a conference type event full of inspiration and so the Cambs Planner Con was born. I was blown away by the fact it sold out in 48 hours! Totally crazy and I am still amazed by that. I knew there was quite a few people in the Cambridgeshire region and thought it would just be us but actually people came from all over the Country. Truly amazing! I did a vlog on Monday about how I felt about the day and you can watch that below. Sometimes it is really hard to convey everything that you want to say you know. I am still not entirely sure that I can even now! The event itself filled me with so much love, joy and amazement. I had the pleasure of spending nigh on four hours with the most inspirational and brave women I have ever met. I mean that most sincerely. Everyone has their own journey be that physical, emotional or otherwise and it blew me away to see the courage people had just in attending the event itself or in speaking up in our group discussions afterwards. 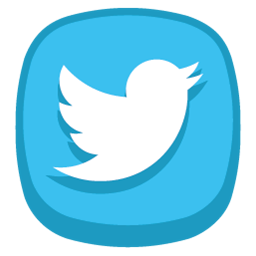 I was simply blown away that so many of you spoke out about your life and shared tips with each other. It was the most humbling and empowering thing I think I have ever witnessed and I am so thankful for that. 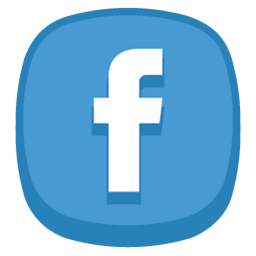 Discussions are still going on now in the delegates Facebook group and everyone is continuing to process the day, share stories, lift and inspire each other and it is bloody brilliant! I tried to talk to as many people as I possibly could but it was so hard to do because the time just wizzed! There will be another one next year for sure and this one will be longer so we have more time to talk. I had no idea when I arranged it what it was going to be like but you know everyone just jelled and there wasn't a single quiet moment. In fact I had to use a microphone to jump in and interrupt lol! 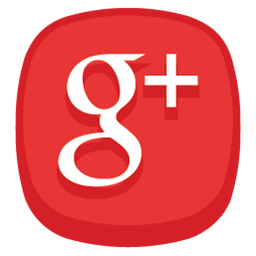 You guys know Geraldine as she is on my design team and regularly has a post here on the blog. Well I love that woman so much, she probably doesn't really appreciate how much of a beacon of light she is and how inspiring she is to so many women, me included. Well when I was arranging it I casually mention, asked, begged if Geraldine would speak and I was delighted when she said yes. In fact I kept messaging her to see if she was still up for it because I thought she might say no. I am so glad she didn't because, well, OK you are gonna have to watch the video below that I recorded of her talk because then. Well yeah I won't need any words. Her talk had such a moving effect on everyone listening I think. There were tears of joy and healing. 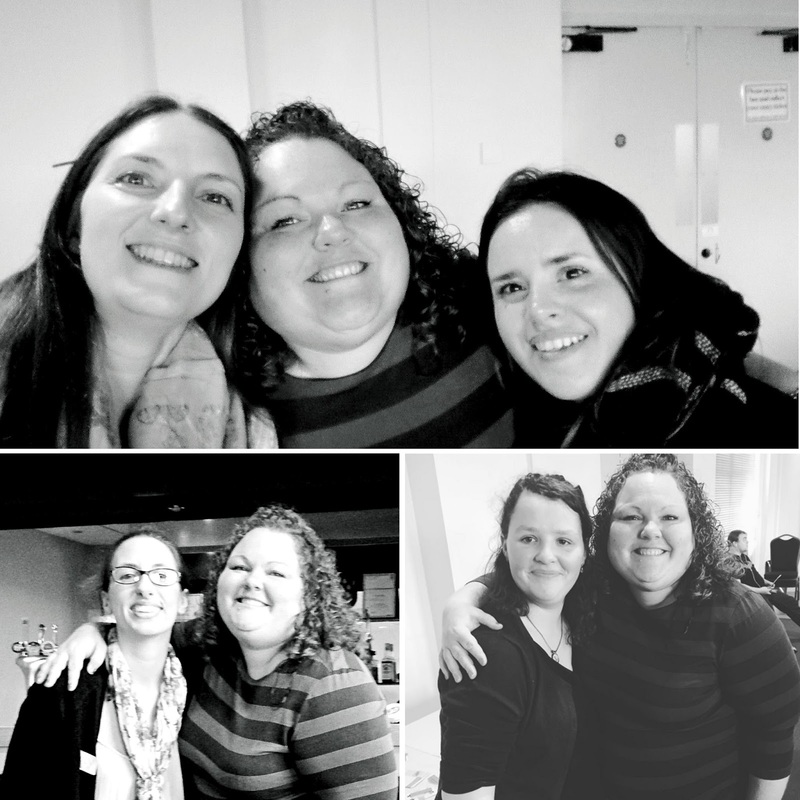 The whole event was very healing for many frazzled women there, me included. I also gave a talk on setting smart goals which you can watch below too. I hope you found it useful! Spirals and Binders and Travelers OH MY! 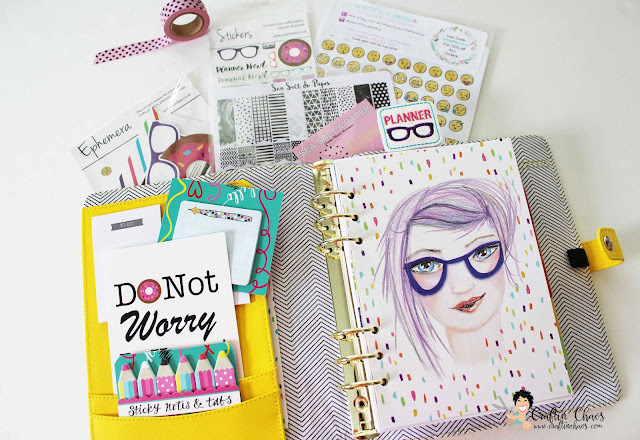 Its funny I have always been a "crafter" and moved into a plannerd and the obsession with having lots of planner supplies is in full swing because that is typically how I roll. I go in with all guns blazing when I start a hobby. Much like crafting I had to have all the tools and sometimes would buy something just because I was new and others had it so I surely needed it once I figured out how to use it that is! So now my craft room runneth over! I slowly started mixing in with the planner crowd and less with the crafting crowd. Although my love for both still continues I have found a way to merge the two loves. I decided to make paperclips and then my obsession with planners and all things planner related kicked in. BOOM i was hooked and BOOM I had an Etsy shop. 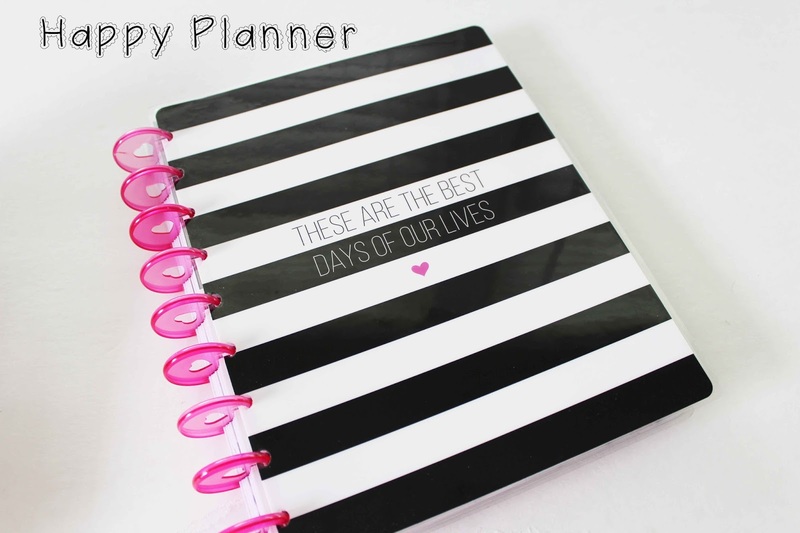 Today's discussion is a bit of a run down of various planners and if I own one I will give my opinion but maybe if you are new it will give you some insight as to what planner would work best for you. Everyone talks about "planner peace" to me this is a fictitious state in which most planners will never achieve because most of us its not so much about finding the one planner that will "complete us" its more of a collection. 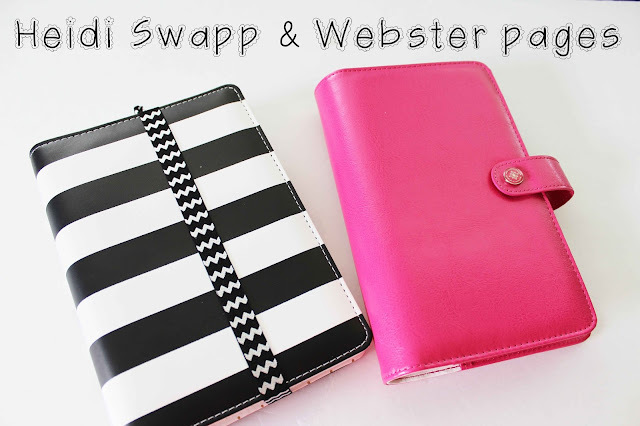 Much like buying a beautiful designer purse because you just love purses, planners can be that same for many people. 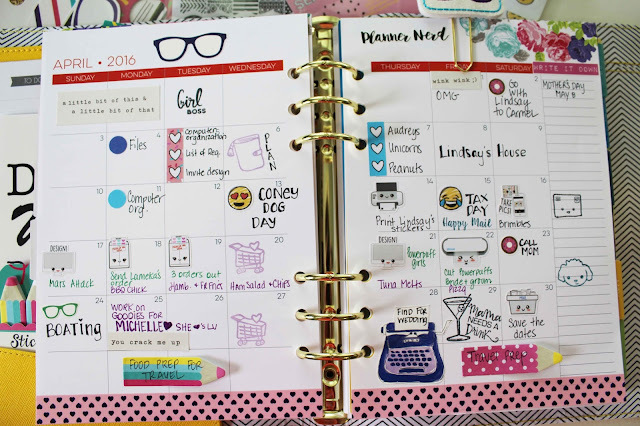 You might have the same planner in multiple colors or sizes even. Personally for me I like big planners and I cannot lie! I can't deal with the small ones although I think they are cute and could serve as a wallet and thus be dual purpose. 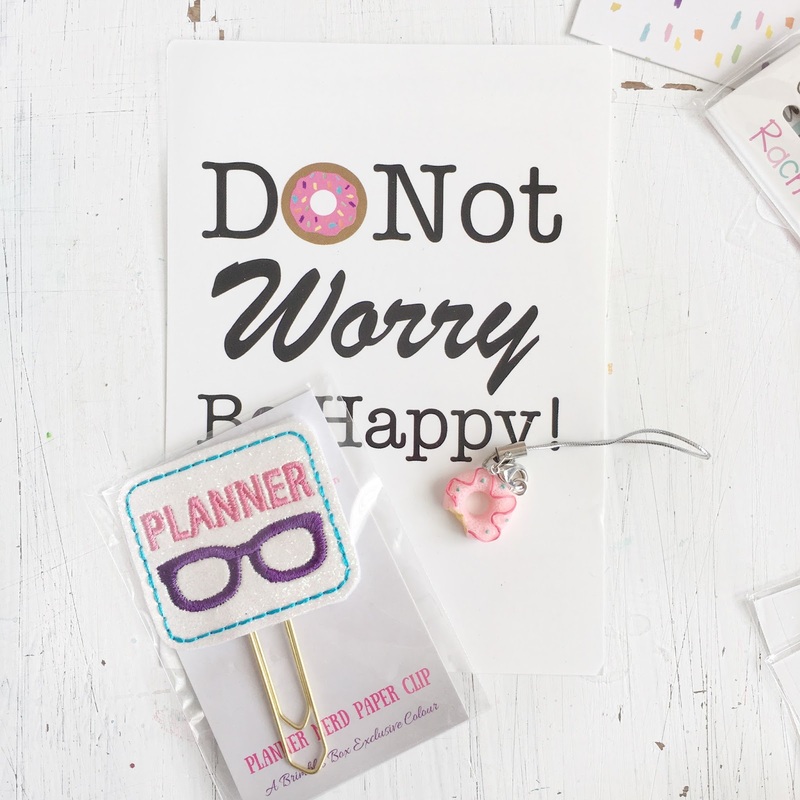 Lets break down the 411 on planners. These are much like a large notebook but depending on what brand you buy you can sometimes select the layout you want for your weekly spread. I love these planners because I use notebooks a lot to doodle, take notes etc. 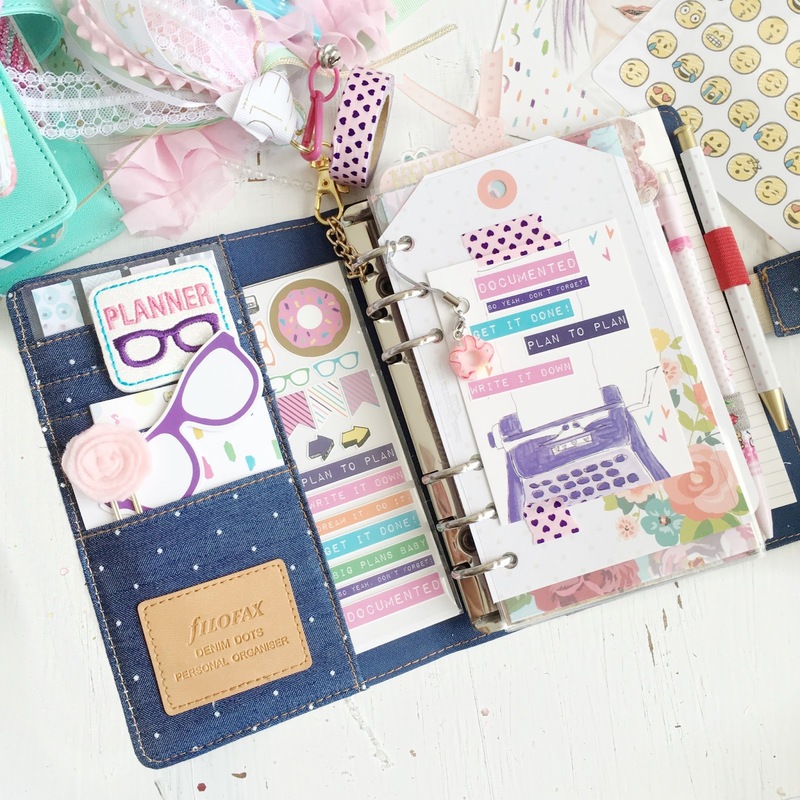 so my spiral planner is something I can use for all those things PLUS it keeps me organized. 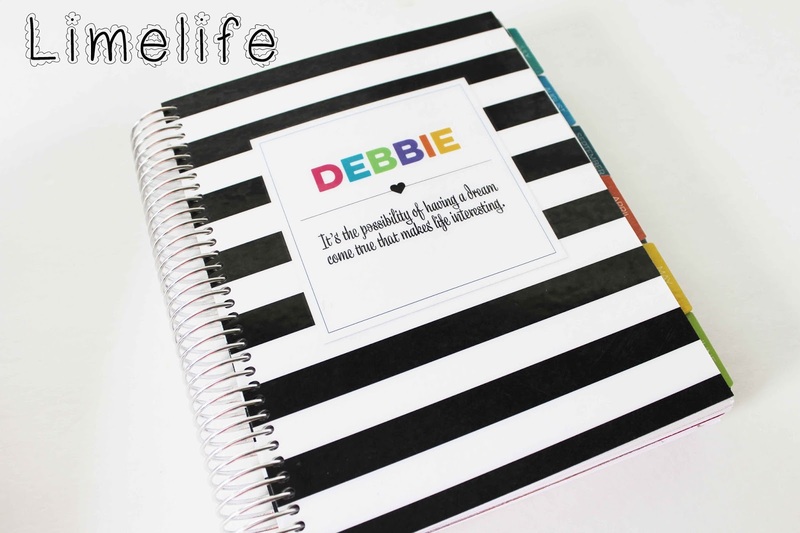 I personally love Limelife planners. They have so many different weekly layouts to choose from that you are bound to find what you want. There are add on's such as "meal planning", "social Media"etc. I have both of these add on's in my planner. They now have a teacher planner as well. You can customize your cover and the owner is so sweet even if something doesn't say you can customize it she will go the extra mile to do something requested if she can. I like to support small woman businesses and this is definitely one of them. Also awesome side mark here there is a place you can go to print off a sample of each weekly layout so you could play with it and see if it truly going to work for you. The con is that you cannot remove the pages to decorate or write so sometimes the coil gets in your way. I do like being able to fold it over like a notebook but again certain days of the week are hard to stamp or decorate because you are close to the spiral. Now there are several companies out there selling spirals like Erin Condren, 1407 planners, Plum Paper Planners and more. I have owned an EC and for me personally the Limelife is much better quality and much more customizable. Paper quality is excellent. Stamping in the planner is great because of this. But keep in mind there are many inks that work best when stamping in planners so do your homework on that. I let my daughter have my Erin Condren when I got my limelife so I don't have it here to take a pic. Most of the sizes are close on these planners. Roughly 7 x 9"
I have owned the daytimes, filofax, webster pages, simple stories, Kikki K ring binders. They come in multiple sizes depending on your needs compact, personal, A5. I personally am a Kikki girl. All of the ones listed are great planners and many are coming out with so many colors, and designs that I will continue to own them as well! (remember I am obsessed now) My Kikki K is my favorite planners. I only have a small amount of them but the ones I have I love. The quality is wonderful, I love the colors they offer and the styles inside the planner with the pocket configurations. I do love the new webster pages coming out and the simple stories as well so for me most ring binders will work for you it is just a matter mainly of your budget. IF you want leather binders filofax and kikki both have excellent quality. If you are vegan several of the companies have a more vegan friendly materials. Alway check your rings when you get one to make sure they are tight. The nice thing is you can remove the pages to decorate so that the rings don't get in your way. I always thought that these were more for journals but there are so many people making inserts for them that have more of the calendar aspects to them or other books to track various things. Then you can still get the grid paper notebooks, lined notebooks and you can have multiple books within your cover so you can go to town with this! 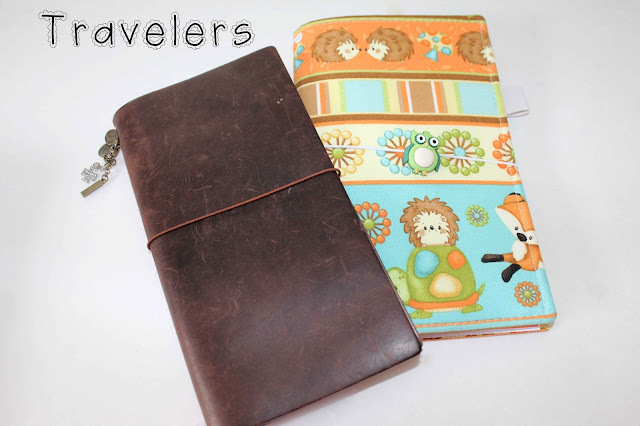 Its a great item to take with you on trips so you can doodle, journal or keep track of your life. You used to see these mainly made out of leather but now so many companies are making their variation of these. They come in a variety of sizes. They can be called midori's, fauxdori's, sewdori's and many many more! They can be leather, fabric and a variation of faux leathers and materials. They come in various sizes also. You can easily make your own if you watch youtube and also make your own inserts. So this can be a fun project or help if you are on a tight budget. I just bought my first one the other day and it was a fabric one and it is so cute! So you can really show your personality by buying or making one with fabric that speaks to you! Price can range from $30 and up depending on materials and size. I am no expert but hopefully this little run down helps a bit. Now for a bit of eye candy! Did you know that Mrs Bimbles has a sticker subscription now too! SAY WHAT!! Here is a pic of all the stickers I received from the subscription. I mean what a good variety of stickers right! Thank you for stopping by and hope you found some of the information helpful! 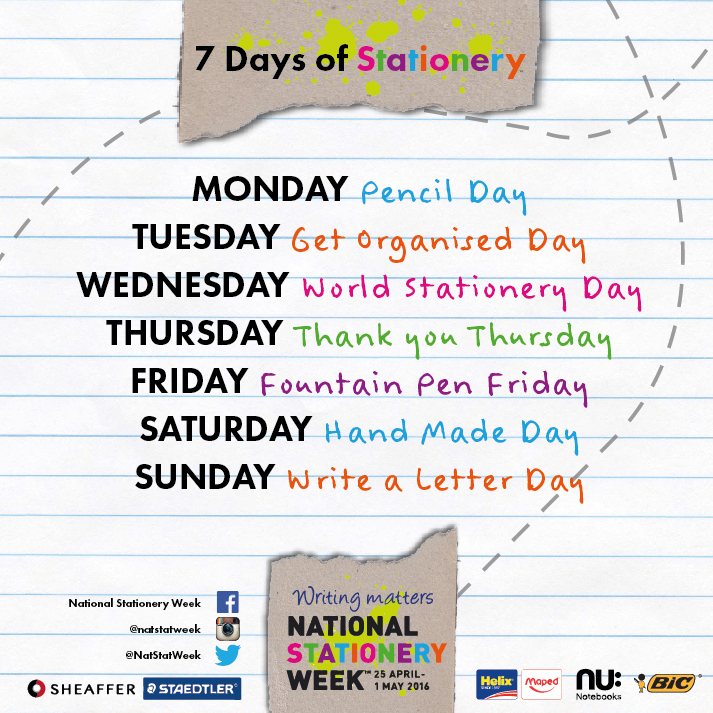 Well that time of year comes round quickly doesn't it, yes it's National Stationery Week again folks. Well what does that mean? Well I guess it means that us stationery lovers, geeks, addicts, whatever we call ourselves get a whole week when we don't have to justify our love. 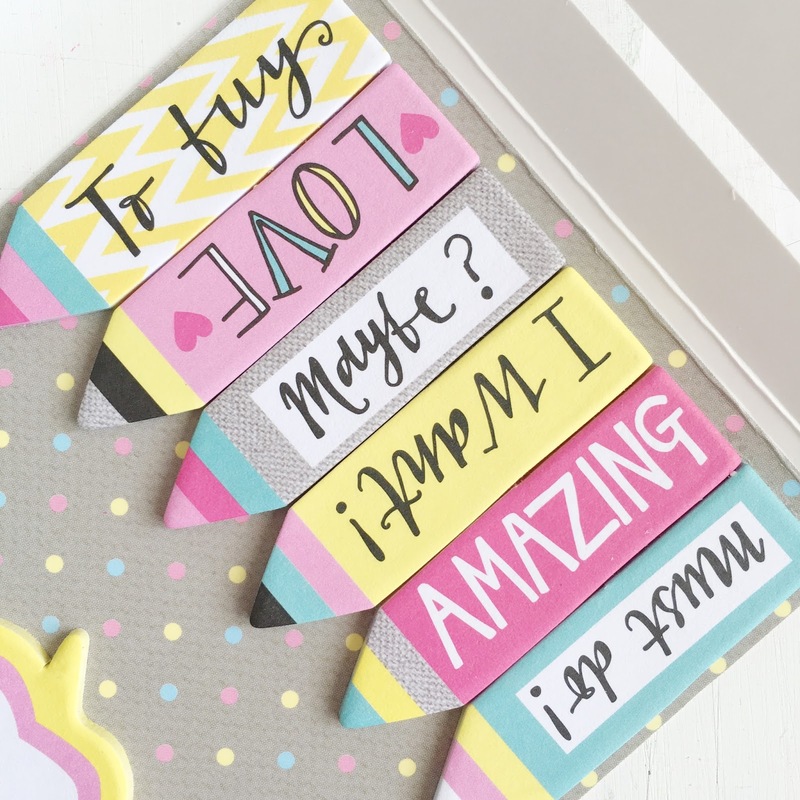 We got a whole week where we can be loud and proud about our obsession with stationery. I think we should have a bit of fun this week what about you? 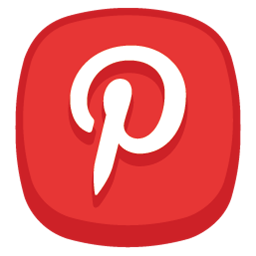 So firstly if you are not in the 'Mrs Brimbles Happy Place' group on Facebook why the heck not? Get yourself over there pronto as there are going to be some daily fun. We are going to be focusing each day on the different subjects allocated (see image below). We are going to be sharing photos and stories and sharing the love of stationery. Secondly to help celebrate and to feed your addiction I am offering you a 10% discount at my shop: www.mrsbrimbles.co.uk/shop Just use coupon code natstatweek2016 and the money will come off at checkout. Coupon cannot be used with any other coupon nor can it be redeemed against Brimbles Boxes but other than that there is no minimum spend and no other restrictions so feel free to tell all of your friends. The discount is valid all week and expires on 1st May 2016. 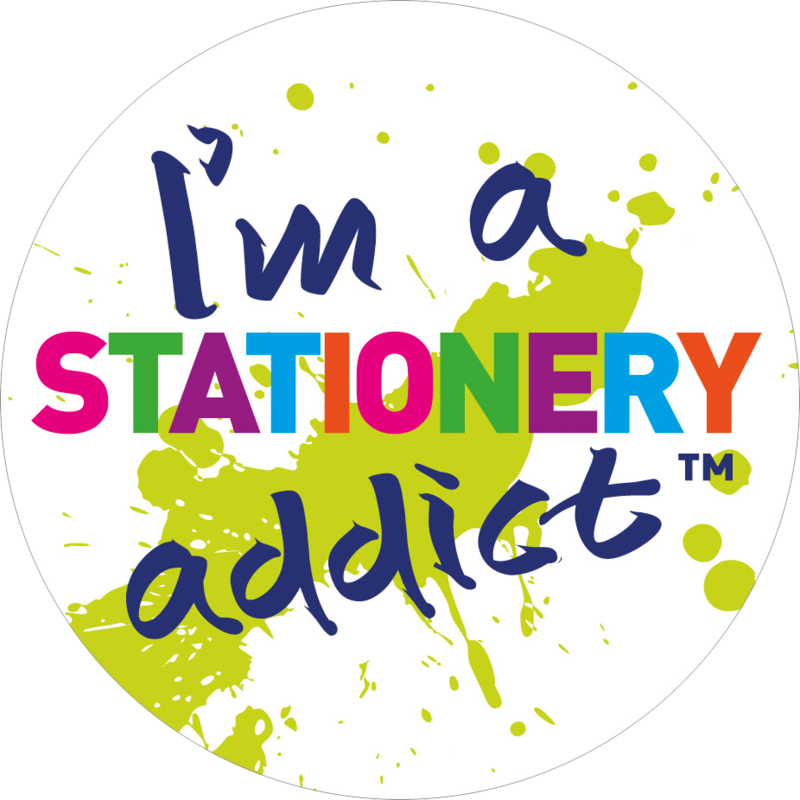 Other than that it is business as usual here on the Mrs Brimbles part of the internet as it is stationery week all year round lol! 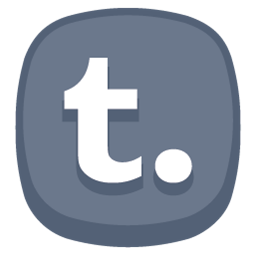 "A monthly sticker subscription. This is not themed but there might be a slight overlap in contents of the regular boxes." 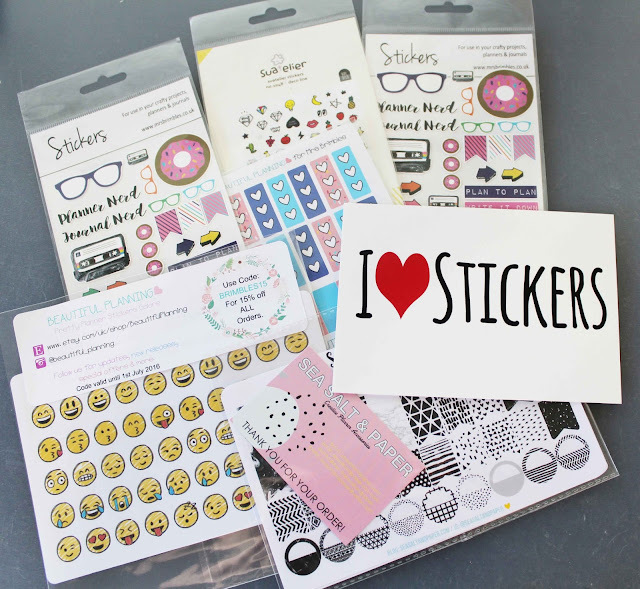 It is a great way to start building up your sticker collection. Here is what I did with mine. I moved into my A5 Coral Carpe Diem Planner and as it had to be practical there's going to be no neat handwriting so the stickers will go a long way to jazz things up. I'm coming out of my comfort zone this week and toying with a few ideas. Apart from the hydrate bottles and confetti washi, all of the stickers and washi used were from this months sticker club. I used the page flags by Beautiful Planning, for the date of each day. Hydrate stickers I received as happy mail. They are by Crazy Organized. The the washi and stickers (designed by the creative Anna Brim herself), I used to give my week a colour theme. Included in the sticker pack were two sheets of black and white tribal themed stickers by Sea Salt and Paper which I've already decided will be the theme for next week. Finally, as I am currently home schooling my youngest, I used one of the emoji stickers, by Beautiful Planning, as a reward sticker to she how happy I was with her work! You can see an unboxing (or rather, unpackaging in this case) of the stickers in the video below. Enjoy! I have another super cute supplier spotlight to share with you today. I was asked if I could review some items and if I liked them, share them with you guys. Well I am sharing so that must mean I like them he he! What is there not to like huh? Cute paperclips and planner charms, delightful! I often see posts on social media and on blog where people have set themselves creative challenges. I am always in awe of them for taking on the challenge and even more so when they complete it. I have to say I am a little jealous when they do as I very often struggle with a 30 day challenge let alone 100 days! I do love to look at their collections whether it is photos of a particular 'thing' or 100 face paintings, whatever it is, seeing the progression and collection as a whole fascinates me. I want a body of work to look back on like that too! I was in two minds about whether to give it a go. I have a busy few months coming up so didn't think I could commit. But then I thought "Anna your over thinking this". It's just for fun, no one cares if you skip a day or stop altogether. Your life doesn't depend on it so just have fun and see where it takes you. So yeah that's what I'm gonna do! 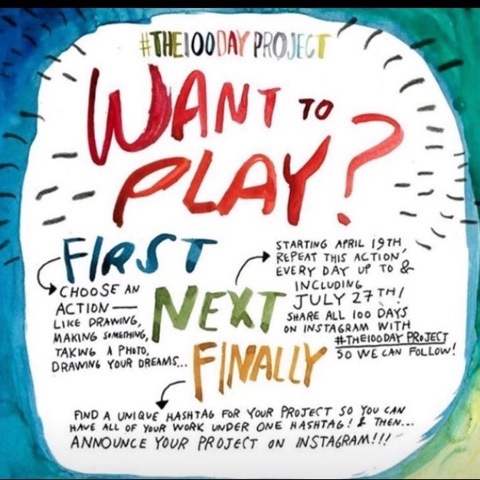 So if your on social media stay tuned for #Annas100daysofclouds project! How about you? Are you taking part? April showers bring May flowers.. So they say... But what April brought me was Mrs. Brimbles Planner box. Once again I am amazed and impressed with all the lovely products I receive in the boxes. 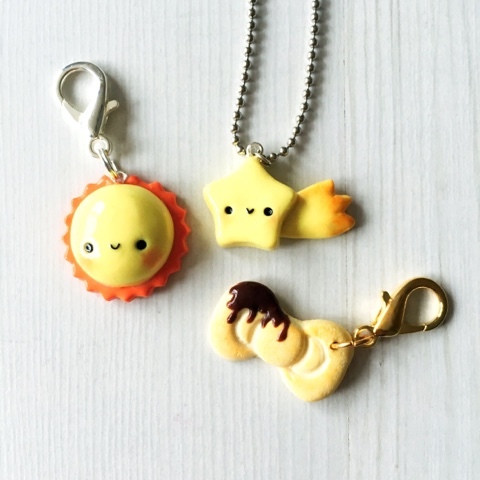 And how about this paerclip, donut charm and card. Will make an awesome addition to embellishing your planner. 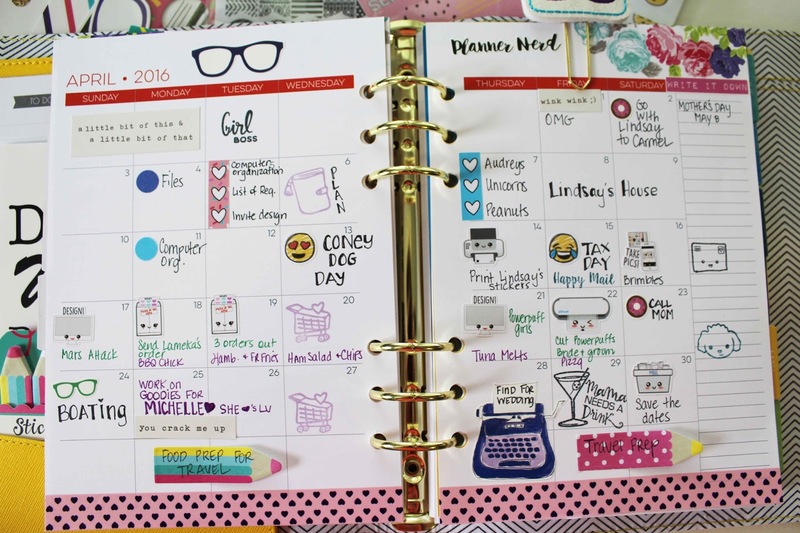 Here is a perfect example of what you can do using your Mrs.Brimbles Planner Box. There is so much variety and the art and special uniqueness that is put into making such amazing products is always a joy to receive. 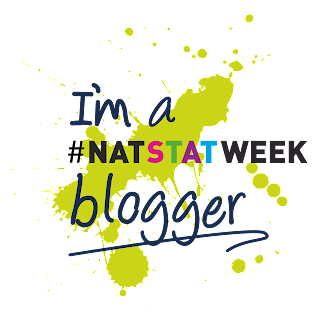 Thank you Anna for the opportunity to be able to represent you, and to everyone who took the time to stop by the blog today. With this month's box I decided to use the contents to decorate my journaling pages. 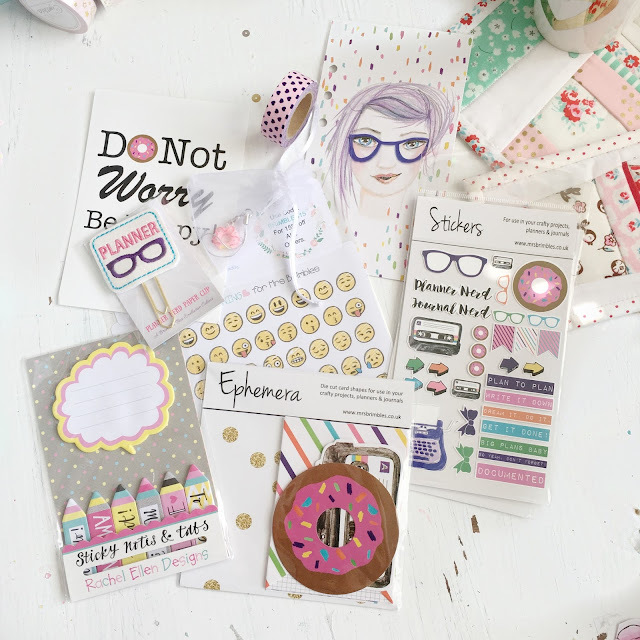 I recently went to see Zootropolis at the cinema with my brother, and seeing as it was a kind of fun film, the April box had lots of fun bright things that just went really well with what I was journaling about! I absolutely loved working with such bright colours, and fun stickers! These journaling pages didn't have any photos on, I decided to just use the things I had collected during the day. We actually got given a free sticker book and stickers when we went to see the film, so of course I didn't turn that down. It was a lovely day spent with my brother, and I also beat a few anxiety worries, so definitely a day to be documented! Hence the use of the pink 'Documented' sticker on the page on the left. I of course kept the cinema ticket to stick in! One of the many reasons I like buying tickets at the cinema rather than online, is because you get a 'proper' ticket. They look a lot nicer in a journal or scrapbook! We also got charged for teen tickets rather than an adult, which was highly amusing. I'm nearly 22 and my brother is 19... But hey! All I said was 'two tickets to see Zootropolis please' so I'm not going to complain if they want to charge us less. I used the cry laughing emoji sticker to represent the 'lols' we got out of that. I used the rainbow dashed journaling card from this pack of ephemera by Mrs Brimbles, to create a little flap on the page. I stuck one of the stickers we got from the cinema on the front, and decorated it with the purple & pink heart washi tape, and some arrow stickers from the sticker sheet that were in my Brimbles Box. I also used from film strip washi tape that I got on eBay. On the other side of the flap I stuck another one of the stickers we got, and I popped one of the little sticky tabs from the sticky notes that were in my Brimbles Box. I tend to use any sticky tabs that already have words on, like stickers. Because the film sticker was quite dark, the sticky tab really helps to break up all the dark colours. Without it there, it would have just looked really glum and bland. I decided to keep my bus ticket from the trip to the train station as this was one of the things I was most anxious about doing. It's a nice little reminder that I managed it, and didn't freak out! I stapled this to the page so it could easily be lifted up, and I could put things underneath it. Underneath I added one more sticker we got at the cinema, and used this orange 'Admit One' washi tape, which was also from eBay, to decorate around it. I added one of the striped flag banner stickers from the sticker sheet in my Brimbles Box to the corner of the Zootropolis sticker. It felt a little bare without something there, so this small addition helped to fill the gap. At the bottom of this page I wanted to add a little cluster of washi & stickers, just to help balance the pages out a bit. I went ahead and added some more of the film strip & heart washi, and then added this yummy looking donut sticker! Once we got home I ended up having a nap, watching tv & eating 'crappy' food, even though I didn't have a donut, the donut does represent the type of food I went for, haha! Once I'd done the journaling I decided to go over random words and phrases with the highlighters that came in my Brimbles Box. I love this technique when it comes to journaling, but I've never had more than two colours of highlighter to do it with. Now I have a whole set, so I did go a little bit crazy! I love how it turned out though, there was so much colour going on around the edges of the journaling, the written section looked very bare in comparison. Hopefully you enjoyed seeing how I used a lot of the items from this month's box! I really enjoyed using them to decorate my journaling pages!